Learn how we can help you create, grow and protect your business. "10 QUESTIONS TO ASK WHEN HIRING A..."
Get found locally, nationally, or internationally — wherever you want to be. Our SEO services don’t stop there. We also offer consulting and white label solutions. Hone in on your target audience with advanced Pay-Per-Click and Social Media solutions. Get peace of mind with protection built for your business, all for one flat rate. Take advantage of 24/7 support and monitoring to improve the performance and productivity of your business. Stand out from the pack with stunning visuals including professional photography, graphic design, video production, and drone visuals. Go beyond blogs. Our team will create compelling optimized and multimedia content to develop your brand’s voice and share your message across the web. Get a responsive and optimized website built for today’s world, all packaged in a sleek design. We specialize in creating unique user experiences for your site or app. Access all of your business’ vital data whenever and wherever you need it with secure cloud solutions, allowing you to stay productive. Define your brand, grow your following, and actively engage your audience on your most relevant social media channels. Take control of your online identity to ensure that your audience has and accurate perception of your brand. Get the tech support you need to accomplish all of your organization’s goals across all facets of your company. Showcase the best of what your company has to offer in high-quality videos to use on your website and social media. Get back up and running faster, even after you’ve experienced a data disaster. Plus, we’ll put measures in place to prevent it from happening again. We are located in Bucks County, just outside of Philadelphia, PA. Our company has grown leaps and bounds since we started, and we’ve helped hundreds of clients do the same. We are not just a digital agency or I.T. company. The whole of 1SEO is much greater than the sum of its parts — and there are a lot of moving parts, all moving in perfect harmony. We value open and transparent communication, both with our team and our clients, to ensure that we are doing our utmost to get you the results you need. Our company has grown leaps and bounds since we started, and we’ve helped hundreds of clients do the same. We have been included in the top 2% of all agencies, credited as Google Premier Partners. 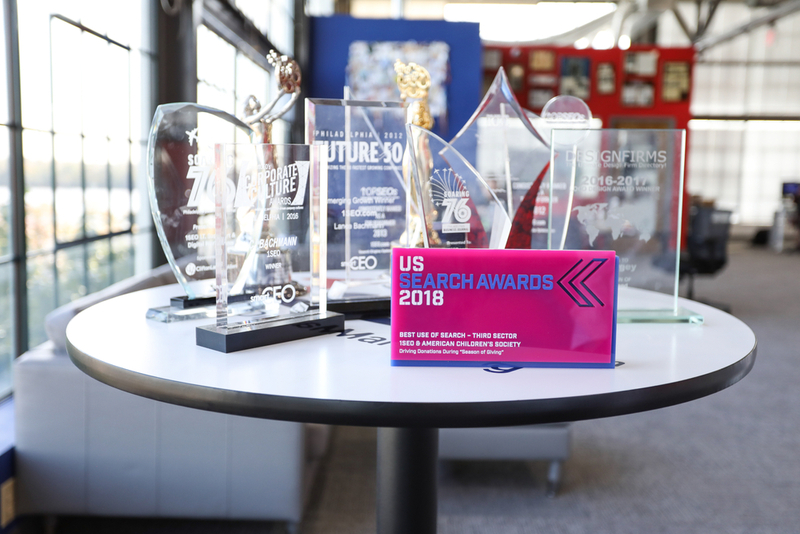 This means we’ve achieved a higher level of screening, certification, training and product knowledge beyond their basic Google Partners program. 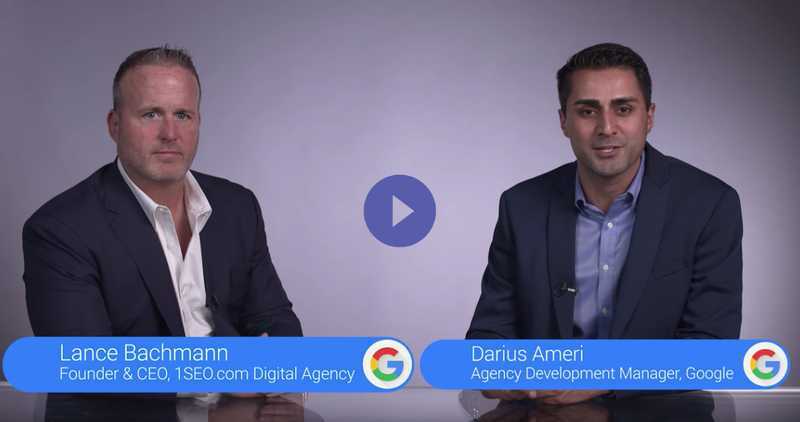 Google has even sat down to interview our President, Lance Bachmann, at their New York headquarters, on the future of online marketing and protection. Grow, protect, and create client success: it’s more than just our mission. It’s our promise to you. There are few things more valuable than your business’ data, whether that includes your customers’ personal information, your inventory, your accounting records, or all of the above. Enjoy peace of mind with I.T. solutions to protect your data. What does success mean to you? It’s different for everyone, which is why all of our campaigns are tailored to help you reach your specific goals. Tell us where you want to go. We’ll help you get there. With so many online marketing companies out there, it can be difficult to know who to trust. You may have even been burnt before by a company that over-promised and under-delivered. We’re not a fly-by-night company. Here’s what sets us apart as one of the top agencies for online advertising, SEO services, I.T. support, and more. We’ll never leave you in the dark. You’ll regularly hear from the team members who are working on your account to make sure that you are up-to-date on all of our efforts. At the same time, we listen to and work closely with you to get the word out about new initiatives and promotions. Even before you come on board, you can expect us to be completely transparent about the results you can expect to see from your campaign based on your industry, location, budget, and a number of other factors. Rather than make false promises about getting you to rank number one through search engine optimization, we will be realistic about how we can help you to achieve your goals. Throughout the duration of your campaign, we’ll provide you with regular updates about your performance. 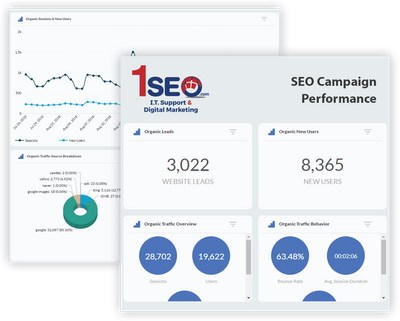 Plus, you’ll always have access to your company’s dashboard, so you can see the performance of your keywords, ads, and more. It’s easy to talk the talk — but far fewer marketing companies can actually walk the walk. We know that at the end of the day, what matters most is how what we do here affects your bottom line. That’s why we go above and beyond for businesses like yours to get you the most bang for your buck. Whether we’re coming up with new and creative ways to help you succeed online or devising the best plan to keep your business secure, our team puts together a comprehensive strategy to get you the results you’re looking for. Digital marketing refers to any online marketing, and can include any combination of SEO, PPC, social media, web design, and just about anything else you can think of. SEO is vital for any website today, regardless of the industry you’re in. It’s an essential component to help you get found online for the search terms that are most relevant to you, ultimately getting you more customers. Can you do better with my PPC campaign? If you have a PPC campaign currently running, we will take a look at every aspect and find places to improve based on your goals to get you a better return on investment. There is no one-size-fits-all answer to this question, since it depends largely on your industry and what goals you are looking to accomplish. Our marketers have experience working with all of the most popular social media platforms and we’ll develop a strategy that makes sense for your business. If your website is a few years old, or you’ve never really given it the attention it deserves, then it’s probably time for an update. Having an easy-to-use, mobile-friendly website is a key piece to not only getting customers to your site, but keeping them there. Do I need I.T. support? Every business, regardless of size, relies on technology for their operations, and has valuable data that they need to protect, making I.T. support invaluable. Why should I hire an outside company for I.T. support? 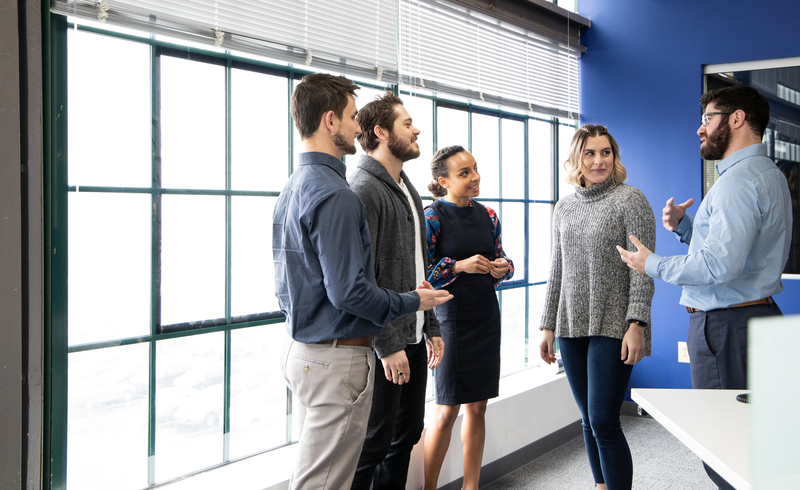 Even if you have someone on your team who does tech support for your company, when you hire an outside company like 1SEO, we have an entire team devoted to resolving any issues that occur. How are managed I.T. services different from I.T. support? Managed services give you peace of mind by allowing you to pay just one flat monthly fee, regardless of how many times you need support in a given month, allowing you to get help with any issue, no matter how large or small, as it arises. How can I keep my network and information secure? There are a number of different options to make your network more secure, including cloud solutions, to make sure that your data stays safe and easily accessible. How can my business be more productive? If your internet connection is spotty, it’s not only frustrating for your employees, but it also has a negative impact on your productivity. Improving your wireless network will help improve just about every other aspect of your business. Can’t wait to get started? Neither can we. Get ready to take your internet marketing and I.T. support to the next level. Contact 1SEO today.